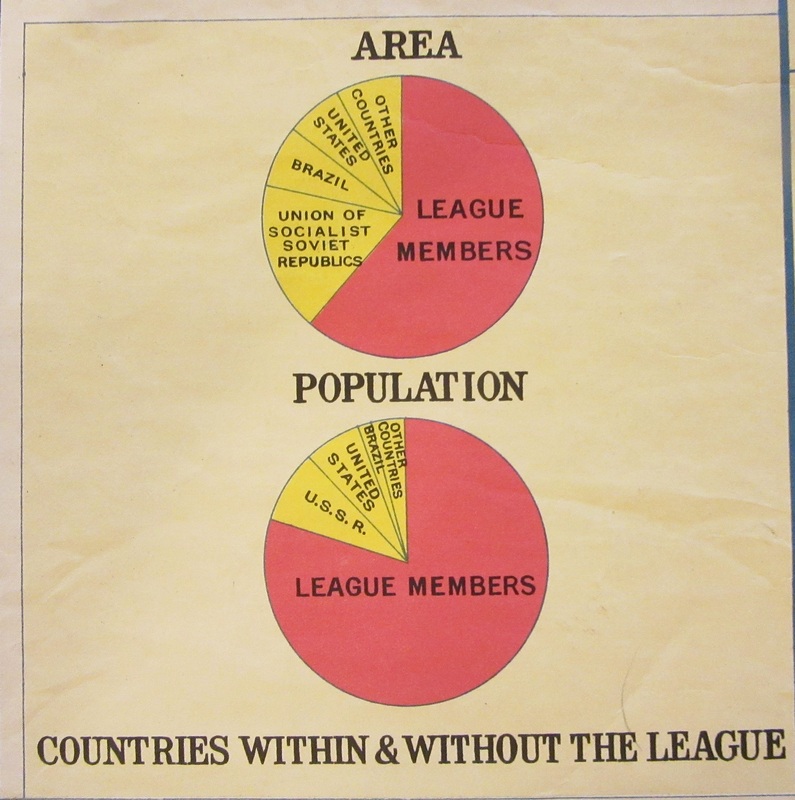 highlights the changes that took place after the First World War following mandates issued by the League. 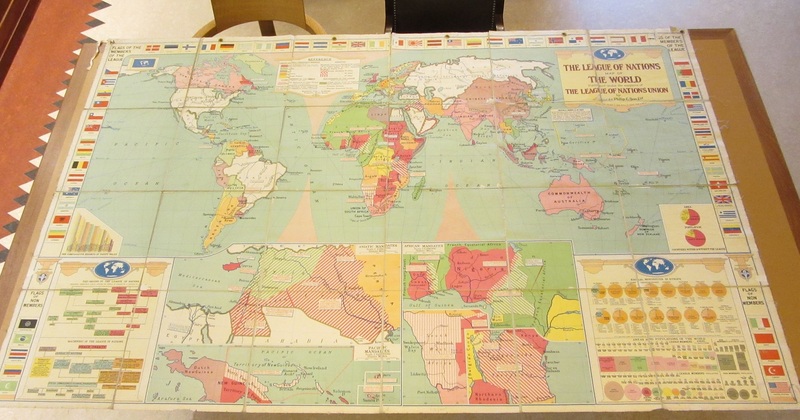 Below a general World map insets for Africa, Arabia and the Pacific Islands show colonial possessions once owned by the defeated nations redistributed amongst the victors. 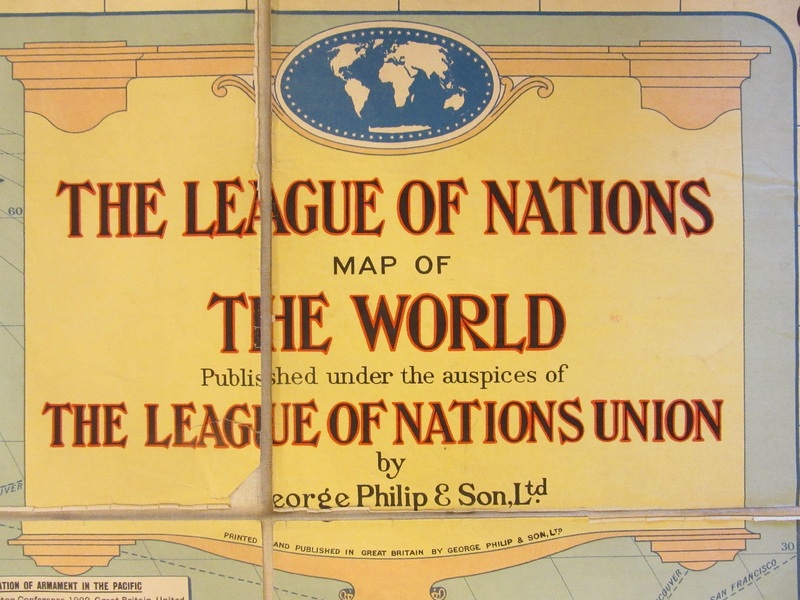 A League of Nations Mandate is a legal transferring of a Country from one nation to another, this was set up in June 1919 following the Treaty of Versailles. 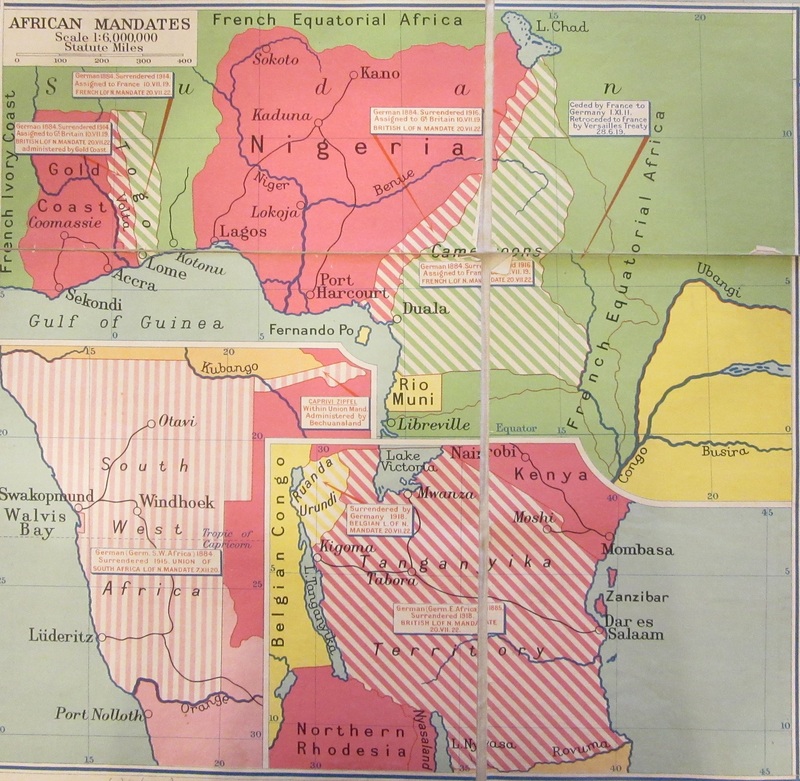 The map is full of evocative names of countries from former times; Persia, South West Africa, Tanganyika and the Gold Coast, and also includes tables showing the birth of the League as well as flags of member and non-member countries as well as pie charts comparing area and populations of member and non-member countries, presumably as a way of showing the benefits of belonging. Class C, the rest of the German Possessions in Africa and those in the Pacific would need to be under full control of the mandatory power. 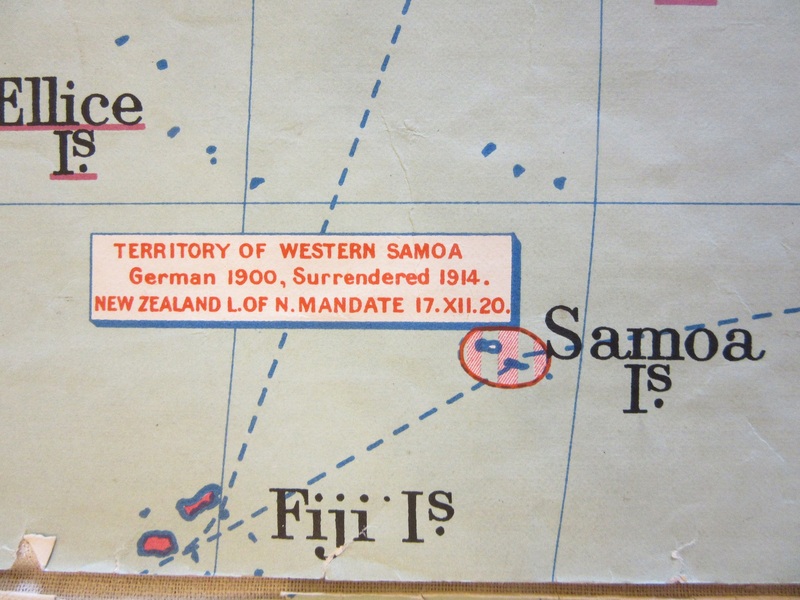 Each transferred country has a box giving details of possession, surrender and mandate, as in Samoa here. This entry was posted in Uncategorized on 25 March 2019 by stuart.